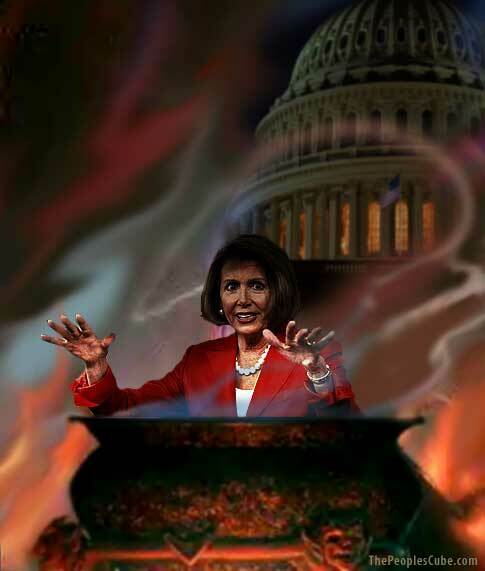 Madam Pelosi: Mystic from left field. I feel truly honored to work harder so she may fly further. She is a true friend of the unwashed masses! Hey! Lay off the old gal. She has worked HARD to get where she is today. At least we know Nanski a patriot. . . or someone forced her into that costume. Well I sure ain't interested in forcing her out of that costume. I have no curiosity about what's under her flag. Trust me on this, it's like someone took a couple of billiard balls, stuffed them in an old pair of gym socks and then stapled them to her chest. I really need to sleep now, so perhaps someone else can think of the words to put in the top left corner. A spell, a prophecy, a curse?